Probably one of the most stylish cities in Europe. Amsterdam has a huge number of hotspots. As result of a big influence of multinational culture, the city spreads of a unique flow. In Europa ist Amsterdam wahrscheinlich einer der stilvollsten Städte. Eine hohe Zahl an Hotspots kombiniert mit dem großen Einfluss verschiedenen Kulturen verschaffen der Stadt ein einzigartiges Klima. 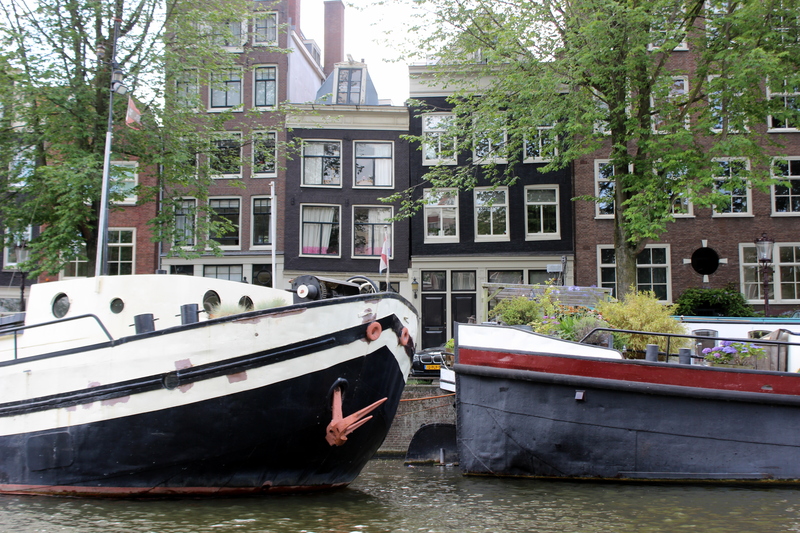 If you have ever been in Amsterdam I strongly recommend making a boat trip. You will get a completly different view of the city. If you need a place to chill check out Pllek! You can easily reach it by ferry (for free) and spend some time and relax. Um Amsterdam vollständig greifen zu können, sollte man definitiv einen Boottrip machen. Entspannen in der Stadt? Die kostenlose Fähre bringt einem zum Pllek, einem industriell angehauchten Stadtstrand. People from over 240 different nationalities are living in the Netherlands . At De Hallen you will find a lot of different food which is created some of them just as Falafel, Burgers, Sushi … What is more, you will find local products from bicycles to shirts. Another good option is to enjoy a fresh brewed coffee by one of the roasteries. Über 240 verschiedene Nationalitäten leben in den Niederlanden. Dieses führt zu einer hohen kulinarischen Vielfalt. In De Hallen findet man vieles davon an einem Platz. Außerdem gibt es viele lokale Produkte von Shirts bis Fahrräder. Einen guten Kaffee kann man in einer der vielen Röstereien finden. In my recent post I already uploaded an outfit for a comfy city trip. While I was strolling through the city I got inspired by the often very simple looks of the locals. I really love the minimal style and here you can find some of my favourite ones. 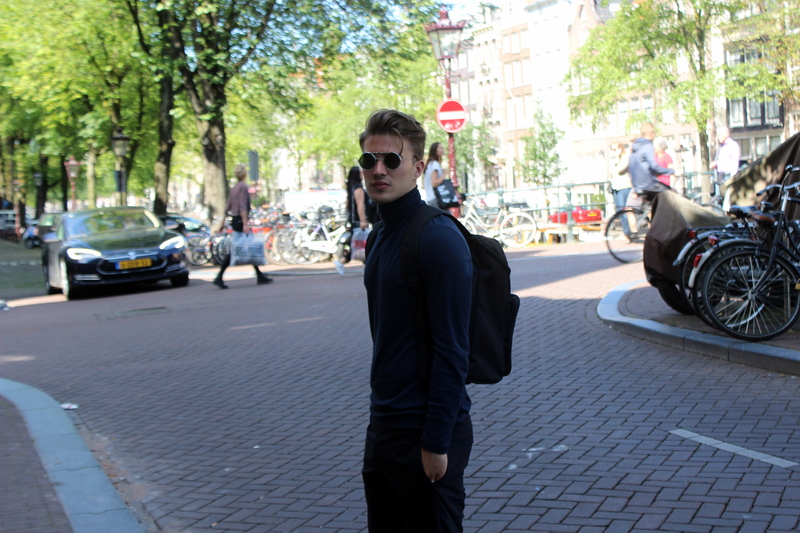 Last but not least, when you are discovering Amsterdam take your time and go shopping. Even if you are usually not the biggest fan of it, a great selection of pieces presented by awesome individual concept stores will definitely give you the Amsterdam flavor. In meinem letzten Post habe ich bereits ein Outfit zu meinem Städtetrip hochgeladen. Der minimalistische Stil der Einwohner hat mich für einige Looks inspiriert. 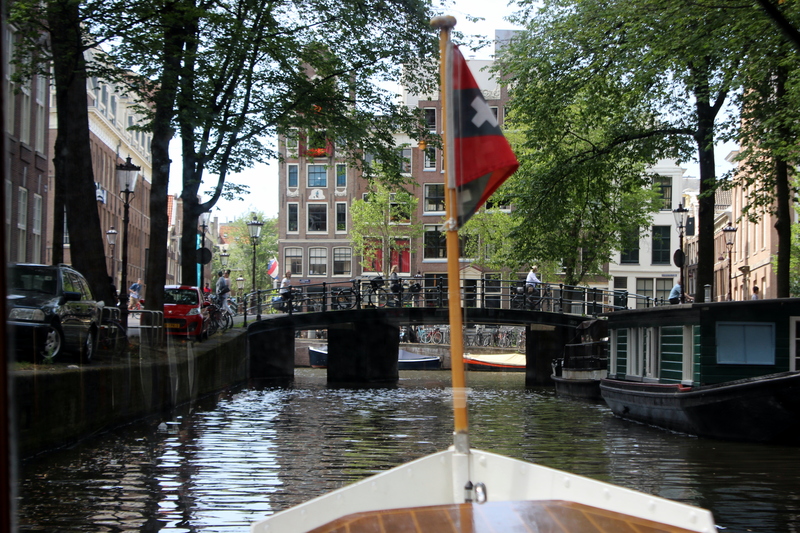 I loved the boat trip in Amsterdam, definitely gives a different perspective to the city!